As the UK government sets out its plans to curb air quality issues across the UK, Alex Grant picks out the key points for fleets. The document identifies ways to curb the UK’s air quality problems. Despite reports to the contrary, the plan does not outline a ban on petrol and diesel vehicles from 2040. 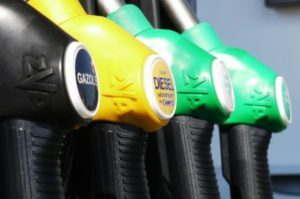 It reiterates a 2011 government statement that sales of “conventional petrol and diesel cars and vans” will end by that point – which implies that hybrid vehicles will still be available. But, it adds, this is not a quick solution to the UK’s air quality problems, and other measures will be taken in the meantime. A ‘Market Surveillance Unit’ will increase checks on new and existing vehicles to ensure emissions standards are being met on the road, and also to get manufacturers to rectify non-compliant cars and vans. The plan also says the UK will have greater control post-Brexit to introduce more stringent emissions standards on vehicles, if it wishes. Over the coming decade, the Automated and Electric Vehicles Bill will set also grow the country’s network of charging points. Investment in greener transport is like be funded by changes to the vehicle tax regime for new diesel vehicles, the plan says. Details of which will be announced later this year – probably in the Autumn Budget. Nitrogen dioxide pollution is a local issue, the plan says, and intervention needs to be targeted on problem areas; less than 100 major roads, mostly in towns and cities, which will still have problems in 2021. These will become even more localised as air quality improves nationally, and require local knowledge to cure. To combat this, local authorities will now have eight months to draw up initial plans to improve air quality – instead of 18 months as announced previously – and final plans must be drawn up by the end of December 2018. Authorities will be able to draw on a £255m Implementation Fund to conduct feasibility studies, and final plans will be subject to government approval before going live. A further Clean Air Fund will enable them to bid for additional measures to get plans underway – from modifying public transport, to changing road layouts, and encouraging different travel methods. The plan says measures to improve air quality must not penalise those who bought diesel vehicles in good faith, based on CO2 emissions rather than NO2. It proposes a scrappage scheme focused on low-income drivers or those living near Clean Air Zones, to incentivise moving to a cleaner vehicle. However, it says previous schemes have been “open to a degree of fraud” and the government will have a consultation process to identify and solve those issues before launching the scheme. Local authorities will be allowed to set charging zones or restrict access for specific vehicles, where there is no other option to reduce air pollution levels to legal limits. The government will work with them to assess ways to do this with minimal impact to local businesses, residents and cities, via a consultation process due to begin in the autumn. Interestingly, these zones could be temporary. The plan suggests they should be lifted once air pollution falls under legal limits, and those limits are no longer at risk of being breached.